Velbon manufactures and sells 150 models tripods and 200 accessories from professional use to amateur use. Velbon meets the widespread needs. 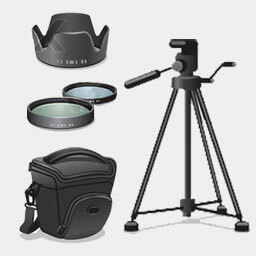 Tri/Mono-pod A tripod or Mono-pod is used to stabilize and elevate a camera, a flash unit, or other photographic equipment.